Fans will be able to get hold of the Make-Your-Own Spider-Man Bear, as well as a Spider-Man Costume and Spider-Man digital sound. 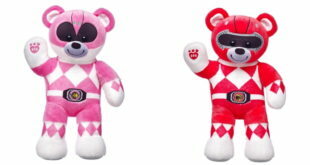 A Make-Your-Own Power Rangers Red Ranger Bear and a Make-Your-Own Power Rangers Pink Ranger Bear are launching in stores and online. 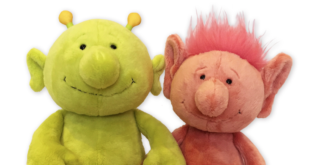 The firm has signed deals to develop plushes, toy figures and sets, cups and more. Following on from the company’s success of the Run-along Twirlywoos, additional toys including the interactive Chickedy and Chick and Flying Twirlywoos will be available from Golden Bear for pre-schoolers to enjoy. 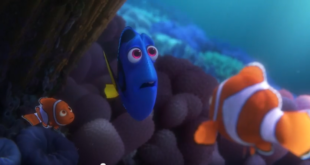 Dory, Nemo and a Dory Ocean Bear are all up for grabs in the range, which have already launched across the US, Canada and online. Captain America and Iron-Man both star in the collection, alongside The Hulk, Raccoon and Groot from Guardians of the Galaxy and Spider-Man. A window display in Hamleys featuring Paddington plush was live for three weeks, and saw an increase in sales of over 40 per cent over the activity period.